How developing a routine will save you time and make you more money. 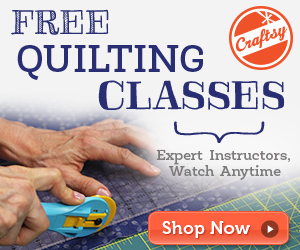 When it comes to quilting, whether for personal or customer quilts, efficiency is best. I just love getting the best job done as quickly as possible. It means that I am managing my workflow and making more money for my time. Over the next few months I will be writing blog posts about how you can quilt efficiently too. Today’s post talks about how developing routines can help you be as efficient as possible. 1. After I have loaded and started a quilt, I will pause for a moment and pull out the next quilt. 2. I look over the quilt and make sure that I have everything I will need for it. For instance, the right color of thread, batting etc. Nothing is worse than getting ready to quilt a quilt and realizing that you don’t have the right thread color. 3. After making sure I have all the necessary items, I display the quilt top. This gets the quilt top in my mind and gives me some time to consider what quilting designs I will use on it. I like to call this “letting the quilt marinate” in my head. Depending on the size of the quilt top, I will hang it over a decorative rod on my wall, or lay it out on the floor. A decorative rod is an easy way to display your next quilt top. The idea is that once I am finished with the quilt that I am working on, I will have some ideas for the next quilt. 4. As soon an I finish the quilt I am working on, I take it off and immediately load the next quilt. This is mostly just a way to trick myself to get more done. If there is a quilt on the machine, I am more likely to work on it instead of stalling. 5. Repeat again and again. This is just one example of a routine that I have established in my business. While getting into a routine can sound boring or stagnant, that isn’t the case. Having routines for the running of your business will ensure that it runs like clockwork. What kind of routines have you established in your quilting or your business? When I take in a new quilt I snap a digital picture of it and then print it out in black and white. I might even make several copies. Then I take these with me when I’m away from the house and doodle and doodle until I have a solid idea of how I will quilt it when it gets loaded. I find this saves me tons of time and gives me the ability to play out ideas before I commit them to the quilt. Lots of great ideas. So glad I found this site. I do think about the next quilt while working on the present one. I also clean up as I go and put threads, designs and everything away before I start my next project. When getting batting ready for one quilt I may also get it ready for the next quilt, saving time moving my rolls of batting. Angela thank you for posting these articles. This topic today is definitely a time waster for me. I like the idea of hanging the quilt so I can see instead of thinking about it in my mind while I’m working on a different one. Definitely hanging a rod today. Thanks again. I do pretty much the same thing. In addition, if I am having “quilters block”, I start to doodle out possible motifs, while I ruminate over the quilt. I am glad you are back…I kind of missed your posts. Great info. I find it’s helps not to have chocolate in the house!!! I do just what you have said, especially for the quilts I have no idea what I am going to do & my customer has left it up to me. I also have a blackboard where, in order I have written my customers name, when I finish one quilt, wipe, the name comes off! audible books help me stay on track too, a good story to listen to while quilting makes the time go by faster. Great idea. Leeanne, about the erasable board. I think i’ll do that. People won’t think I’m making excuses for not being able to do their quilts in day when they see the list. I have to be extra conscientious of my time management, as I have a full time job right now too. Great inspiration. Thank you. I am going to have to install a rod across my wall now.